Is it possible to satisfy your sweet tooth without doing your body harm? 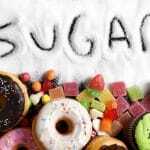 The truth is, white sugar consumption may negatively impact nearly every organ in your body. This fact was actually covered up in a scandal that involved Harvard University professors, believe it or not. Many sugar alternatives exist — some natural and some artificial. Still, not all of these are completely safe, either. Let’s take a closer look at the history of sugar, the different types of sugar and the sweet alternatives. Although sugar has been around for centuries, honey was much more common as a sweetener in ancient times. People used to chew on sugar cane to enjoy the sweet flavor. Eventually, by the first century, sugar found its way to Europe, but it was only used for medicinal purposes. In India, they discovered how to convert sugar cane into crystals. They called this treat “khanda,” from which the word candy is derived. In the mid-1960s, a review was published in the New England Journal of Medicine by Fredrick Stare and D. Mark Hegsted of the Nutrition Department at Harvard’s School of Public Health. The paper basically denied that sugar could contribute to heart disease. The only problem is that the two authors were paid by the sugar industry to write the report. Back in those days, scientists were not required to disclose any conflicts of interest. One result of the sugar scandal was to pin the food risk for heart disease on fat and cholesterol alone. Now while these may be harmful to your health, sugar is not by any means harmless. In fact, research published in the Journal of the American Medical Association shows that increased sugar intake is indeed related to an increased risk of cardiovascular disease. If you get 21 percent or more of your calories from added sugar, your risk for heart disease more than doubles. The average Western adult consumes about 22 teaspoons of sugar. The American Heart Association recommends less than six teaspoons (100 calories) a day for women and nine teaspoons per day (150 calories) for men. On average, we consume at least twice the recommended amount or more. 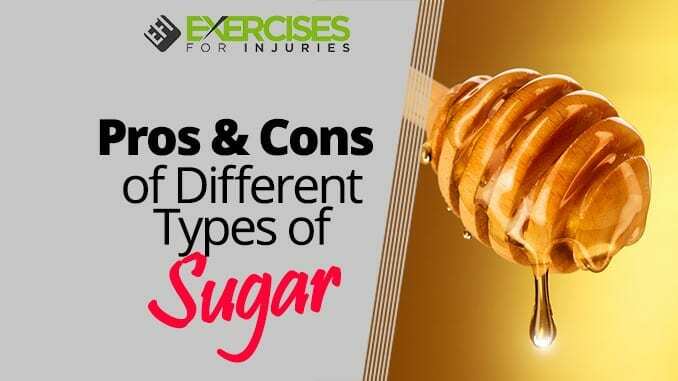 What Are the Types of Sugar to Avoid? 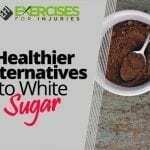 What Are Healthy Sugar Alternatives? Given the long list above, you might be wondering, “What can I use to sweeten up my diet?” The good news is that there are actually plenty of options. One thing to keep in mind is that some of these still contain sugar, but they are more effectively metabolized by the body. 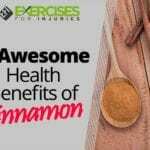 Plus, some of the sugar alternatives offer other health benefits. Some readers probably scanned the terms above for honey, and it wasn’t on the list. Why? Because honey — although it does have sugar — also provides you with nutritional benefits. Honey contains protein, electrolytes, antioxidants and antimicrobial elements. Raw honey is harvested directly from the honey extractor; this means it’s unpasteurized and unprocessed. The reason this is important is that heating and other processes strip the honey of its nutritional power. Plus, if it’s local honey, it contains local pollen. Some studies show that for those who suffer from allergies, local pollen consumption may reduce your symptoms. Remember, raw honey still has sugar, so you should limit your consumption. A good rule of thumb is one to two tablespoons per day. Now technically, stevia is not a sugar. In fact, stevia has no calories and is an all-natural sweetener extracted from the leaves of the Stevia rebaudiana plant. However, even though it’s all natural, highly processed forms of stevia might not be so healthy and may contain chemical additives. Because it has no calories, stevia is especially useful for those who have diabetes or are trying to lose weight. Even though no harmful effects have ever been shown related to stevia, like all things it’s probably best to use it in moderation. One reason is that it may lead to weight gain, as do artificial sweeteners, which we’ll cover later in this article. Not to be confused with coconut flour, coconut sugar does not actually come from the coconut itself. Rather, coconut sugar is made by extracting the sap from the flower bud stem of the coconut palm. Like raw honey, coconut is a natural sugar, and if consumed in excess may cause unwanted health problems. Besides sweets, coconut sugar also contains small amounts of vitamins, minerals, phytonutrients, iron and zinc. Although these levels are minor, it still beats the empty calories associated with granulated sugar. Also, coconuts sugar’s glycemic index is lower. This means it gets metabolized more gradually and doesn’t lead to as much of a sugar spike. For this reason, coconut sugar may be less likely to contribute to insulin resistance. For pancake lovers, you probably skimmed the harmful sugar list looking for maple syrup. It’s not there. Make sure you shop for certified organic 100 percent maple syrup. Other products may say “maple” on the package but aren’t the real deal, so read carefully. True maple syrup is extracted from the sap of maple trees then heated to burn off excess water. Approximately 100 grams of pure maple syrup actually contains more than 100 percent of the recommended daily allowance (RDA) of riboflavin and 138 percent of the RDA of manganese. It also contains a fair amount of calcium and zinc. Plus, maple syrup has been shown to have multiple antioxidants. Of all the sugars, it may be the one with the highest nutritional value. For decades, controversy has swirled around artificial sweeteners. At one point, there was a scare that they might lead to cancer. Although no conclusive evidence has been shown that artificial sugar substitutes cause cancer in humans, animal research has shown a potential link. Plus, as portion sizes and consumption continue to grow, the risks might be real. The cancer debate aside, it appears that artificial sweeteners don’t help at all with weight loss. In fact, just the opposite may be true. The reason is that if you frequently consume foods containing sugar substitutes (“light” or “sugar-free”) your body doesn’t associate eating with calorie consumption. This ends up tricking your brain to think that all sweet foods are calorie-free. So, when you do eat sweets that have real calories, you tend to overconsume, which can lead to dramatic weight gain. Which Artificial Sweeteners Are Dangerous? Could the artificial sweetener industry be taking a page from the sugar industry’s playbook? Could there be a cover-up about the true harm caused by these substances? It’s not clear, but if you’re given a choice, why not avoid them? In nearly every case, be prudent when using sugar of any kind. 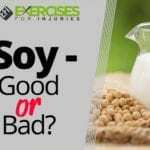 The natural alternatives listed here are your best bet. Avoid white granulated sugar and artificial sweeteners. When you do indulge, enjoy and savor, but don’t go overboard. Life is sweet enough.